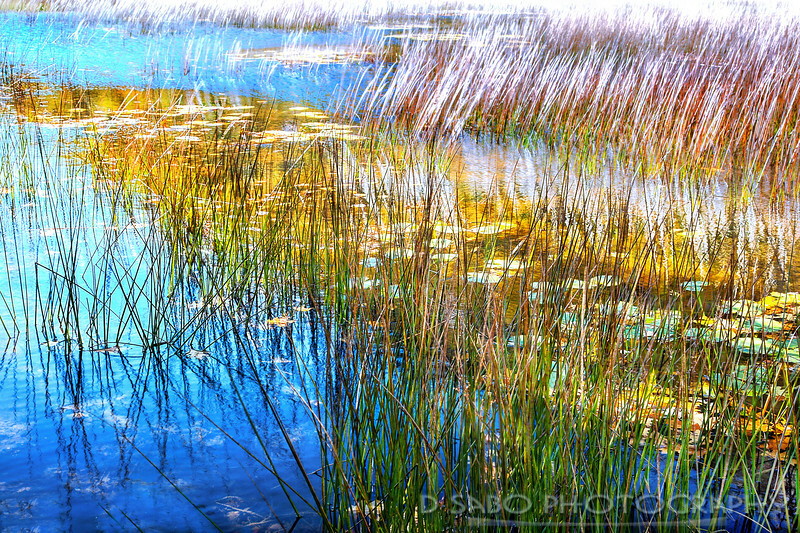 My new nature abstracts are from “The Tarn”- Acadia National Park. The Tarn is a shallow, weedy “pond”. I chased light and the ever changing colors on multiple days during various times of the day under all environmental conditions including gale force winds and bone chilling temperatures. The changing light produced wonderful results where the dancing marsh reeds synchronized in motion and spirit with this magical area of Acadia.